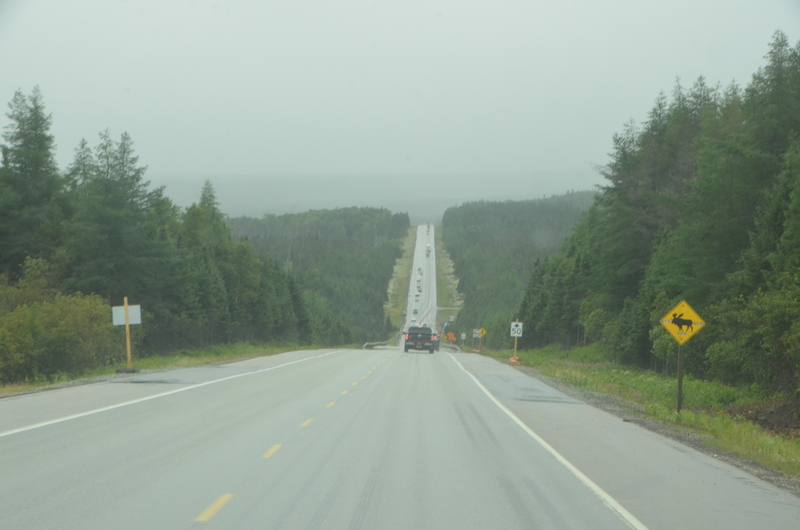 As you can imagine, cycling across Canada gives the opportunity to encounter hills, lots of them! There were some long uphill grades that were really difficult! At times, wind and bad road conditions added to the challenge. The rewards for long climbs included some great views, as well as the thrill of the long downhill grades and the break they provided! Along the way I developed a technique that helped me face hills. In the difficult uphill sections I found if I focused on the long road ahead leading to the crest of the hill, I tended to be overwhelmed and was tempted to stop pedaling. But if instead I focused on just the next few meters of road ahead, I was less overwhelmed, seemed to have more energy and was able to conquer the hard road ahead. The key to succeeding with these hills seemed to be where I placed my focus, the next few meters or the long road ahead. The physics of the ride does not change, but just focusing on getting through the next few meters makes a world of difference. In life, like cycling, I like the “long downhill grades” where I just sail along. I would like to avoid the hard uphill stretches, if possible, but they always seem to find their way into the road ahead. In the overwhelming life moments, staying focused on the next step, the one small thing I can do to move forward rather than the long road ahead seems to make the overwhelming tasks of life circumstance less overwhelming. Like it or not, the difficult moments and life challenges do provide some new “views” along with a deeper appreciation and understanding of life that can only come through facing life’s hills. Previous PostLesson from Cycling: DraftingNext PostCross Canada with the c4w team in 3½ minutes! 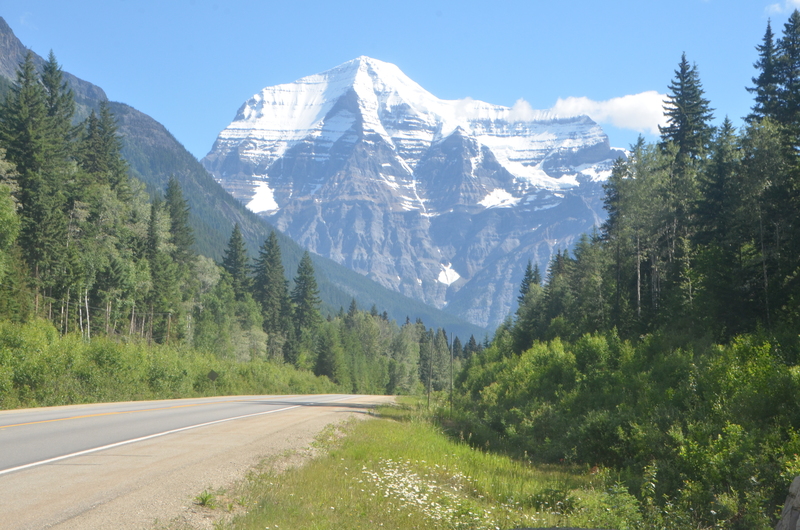 I read your blogs every day which reminded me of our own cycling trip across Canada and I felt the pain and the glory with you guys. Job well done and hope you keep on cycling. It was great to meet you all in Saskatoon at Judy & Nathan Hildebrands home. 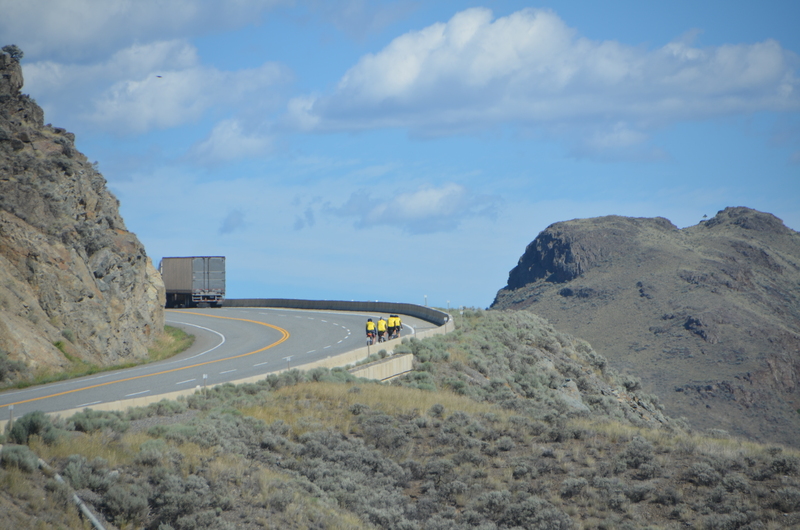 You guys (and girl) are a great encouragement and certainly not everyone can say they cycled across Canada! Thanks for sharing each day! So true. You were able to take the uphill challenges by doing it a few meters at a time. When I feel overwhelmed I break things down to smaller chunks as well. and I am grateful; for the easier downhill times. So happy God was in your lives and on the many climbs with you. Great post! Lots of character-building built into those long hills in life. It seems there are some things we only learn or gain through working through challenges and sometimes enduring some discomfort and pain.